As mentioned somewhere else, there will not be guided tours at VIM21. There are several reasons for that. 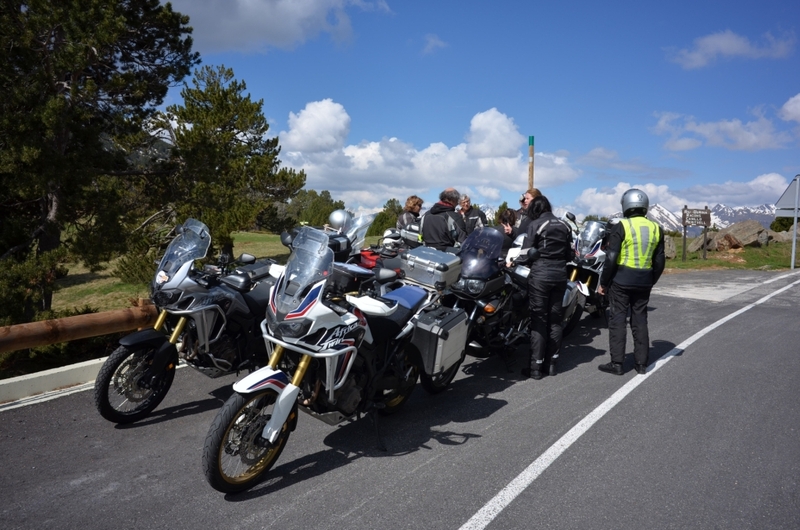 The main reason is that according to danish law, the "Road Traffic Act", it's not allowed to ride a group of motorcycles (or other vehicles), in cortege, unless the route is made in collaboration with the police authorities and escorted by motorcycle cops . It is almost impossible to get this permission as a private person, as the police just doesn't have the resources to involve in that kind of things. The reason why the law is so, I think, is caused by the danish road network, which is quite fine-meshed with roads in all directions everywhere. And with the amount of trafic we have, a cortege would quickly be a nuisance to many other road users. An alternative would be splitting up in small groups of e.g. 5 motorcycles each, but that would require a leader for every group, and as we are just Ole Stubager and me, that's not an option. But, as said before, in neither Sweden nor Andorra there were any guided tours, and people were out riding anyway, so it didn't seem to be a problem. And with the links I've put out, and I'm sure more will follow, it should be possible for everyone to make a tour for themselves or with others (in small groups), you have around two month to plan it . And remember, next Sundag, March 31st, will be the last chance to book and pay for participation in VIM21! Re: Looking forward to VIM21? Guided tours or not? I have organised several meetings, some good and some not so good. The most important thing left for you to do is be there and sunshine ! 3 days to go, before booking and payment deadline! You and your team are doing a great job, Bonne! And as with previous VIM's its the orgateam who draws the straws. CU in about 2 (!!!) months from now. Please order some tropical weather.